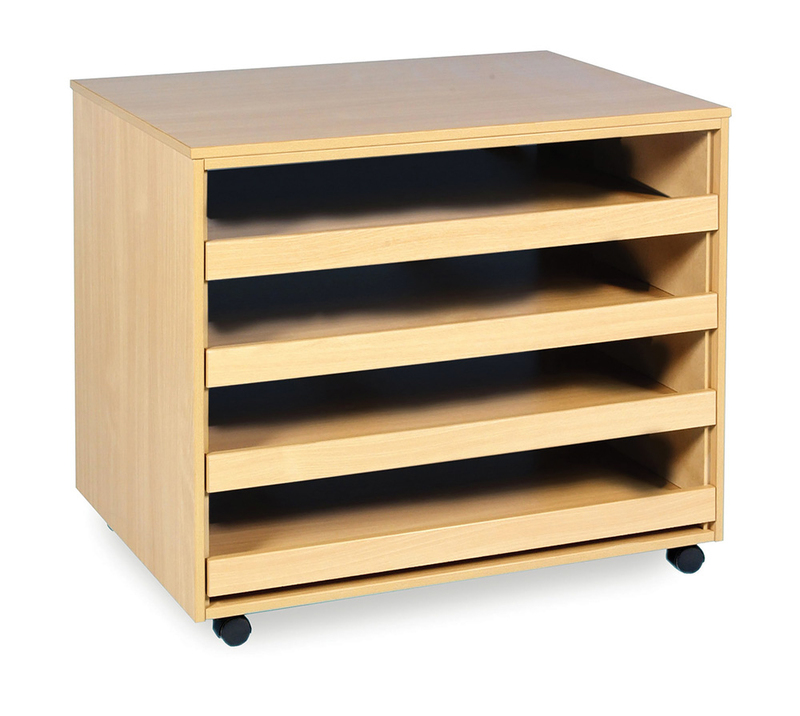 The 4 drawer A1 paper storage unit is suitable for storing plans, maps and paper up to size A1. Suitable for use in education particularly in schools and colleges or architects offices. Constructed from 18mm durable MFC and finished in a modern beech colour. You can choose to add lockable doors to your unit for more secure paper storage. 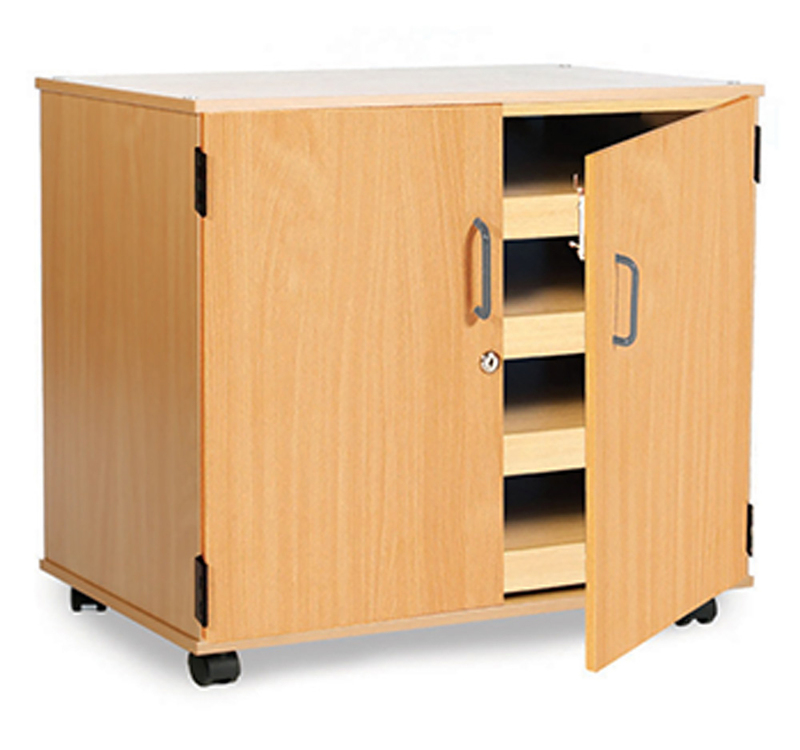 Complete with easy glide castor wheels so you can move your paper storage unit easily if required.